Afghanistan is in trouble. The U.S. lost more than 2,000 soldiers, spent more than half a trillion dollars and 15 years to defeat the Taliban and rebuild Afghanistan. Today the country is on the verge of collapse. John Sopko, the Special Inspector General for Afghanistan Reconstruction, delivered his quarterly report to Congress on April 29 and its almost 300 pages are a grim report of a troubled country. The Afghan Unity Government has fallen to infighting while trying to resolve a constitutional crisis. “Survival will be an achievement for the National Unity Government,” said Nicholas Haysom, the U.N. Secretary-General’s Special Representative for Afghanistan. As the government fights, the security of the country deteriorates. A resurgent Taliban announced its annual spring offensive and quickly made good on its threats. On April 19 a suicide bomber in Kabul killed 64 and wounded 350. The revitalized militant group took a page from the Islamic State and now tracks their activities on a new English language website. “Fighting in 2016 will be more intense than 2015, continuing a decade-long trend of deteriorating security,” Director of National Intelligence James Clapper recently told the U.S. Senate Intelligence Committee. The current withdrawal plan would leave just 5,500 American soldiers in Afghanistan by the end of the year. But according to both SIGAR and Nance, that might not be enough to reverse a looming disaster for the country and for America’s efforts to rebuild the country after decades of war. There is no doubt the situation is grim. SIGAR’s quarterly report opens with a report titled, “Eroding Bedrock.” Sopko and his team analyzed Afghanistan’s security forces and found them wanting. The United States and its allies accomplished something impressive during the war in Afghanistan — they built a national military and police force from scratch. But those institutions are less than a decade old and can’t fight without Western support. Coalition forces having largely withdrawn from the battlefield now rely on the Afghan military to provide the bulk of their signals intelligence. Worse, the United States and Western allies have little to no oversight on much of the Afghan security forces’ operations. The Afghan army is still undisciplined, unprofessional and poorly led, so the intelligence it provides isn’t reliable. Some generals estimate that the Afghan Unity government controls no more than 70 percent of the country and has oversight of far less. Maybe that’s why it doesn’t seem to know what’s happening on a goat farm it spend millions on. To be sure, Washington and Kabul did an incredible job creating the Afghan military. Fifteen years ago there was no organized force to speak of. Now Afghanistan boasts an army, air force and national police force. “Since fiscal year 2002, the United States Congress has appropriated more than $68 billion to recruit, train, equip, house, feed, supply, and pay the salaries of a force authorized up to 352,000 soldiers and police in the Afghan National Defense and Security Forces, plus 30,000 members of the Afghan Local Police,” Sopko wrote in his report. But the lack of oversight affects everything. No one seems to know how many troops and cops Kabul actually employs, but it’s not 352,000. Worse, many police and military leaders exaggerate their personnel numbers to draw extra paychecks. “There’s always five guys on the roll and only two in the field,” Nance explained. It’s a pernicious problem among the police. A 2011 audit of the Afghan police force showed most precincts had overreported the number of officers by more than 13,000 people. That’s a lot of extra cash. Corruption is bad, but the lack of personnel knowledge creates a security threat. If Kabul doesn’t know which areas need extra troops and which infantry units needs more medics, then it’s impossible to effectively fight a force such as the Taliban. Afghan National Police rehearse Czech tactics. Resolute Support Mission photo. Funding Afghanistan’s security forces costs about $5 billion a year. America pays 80 percent of that budget. Kabul committed to pay a meager $500 million a year, but can’t manage even that. Gen. John Campbell, former commander of the International Security Force, told the House Armed Services Committee that Afghanistan won’t be able to fund its own military until 2024. Kabul’s ability to make those future payments is also in doubt. Corruption at every level, from both foreign contractors and local officials, has stifled the Afghan economy. Despite millions of dollars of foreign investment, the Afghan economy shrank by $700 million. SIGAR’s quarterly report described some of the scandals. A Texas contractor solicited $51,000 in bribes from Afghan companies before rewarding them agricultural subcontracts. An Afghan construction company paid out $140,000 to U.S. military officials in exchange of preferential treatment and three million dollars in contracts. Army specialists stole truckloads of jet fuel. An Army Reserve staff sergeant smuggled out boxes of cash and equipment to his wife in Kentucky. He labeled them “gifts of his family.” When customs officials popped open the box they found $41,750. This is just a small sampling. Corruption is ubiquitous in Afghanistan. Bribes are grease that makes the wheels of bureaucracy turn. A 2012 U.N. investigation interviewed Afghans about corruption. Almost 70 percent said they felt civil servants should take bribes in exchanges for doing their job. Forty-two percent said they’d bribed a police officer on at least one occasion. Corruption is part of life in Afghanistan. The U.S. thought it could drop rangers into Kandahar, uproot centuries of culture and impress American values on a strange country. Instead, Afghan corruption seeped into the contractors and soldiers who came to the country. “We have to get Afghanistan to that point to where the army becomes institutionalized and the their financial interests eclipse those of the regional governors who are essentially billionaire warlords,” he explained. And the Taliban is coming. “Insurgents took and briefly held a provincial capital last fall, have seized various district centers, and in the space of a few days in late March assassinated an Afghan army general in Kandahar Province and a judge in Ghazni Province, and fired rockets at the new Afghan parliament building,” Sopko’s report explained. Despite not having a clear grasp of the Afghan military’s troop strength, the Pentagon is pretty sure it has more soldiers than the Taliban. Unfortunately, Kabul never attacks. Its troops are reactive, always on the defense and spread thin across the country. Patrols are few and attacks on Taliban strongholds non-existent. The Afghan military has superior arms and equipment but every Taliban victory puts weapons in the hands of the insurgency. The Taliban is terrible at holding territory and the military often retakes lost settlements, but it hardly matters. “Even when the [soldiers] … regroup and reclaim key population centers … this undermines public confidence that the government can protect the Afghan people,” explained a Defense Department assessment from last year. As confidence in the Kabul and the military wanes, security forces turn to the Taliban. 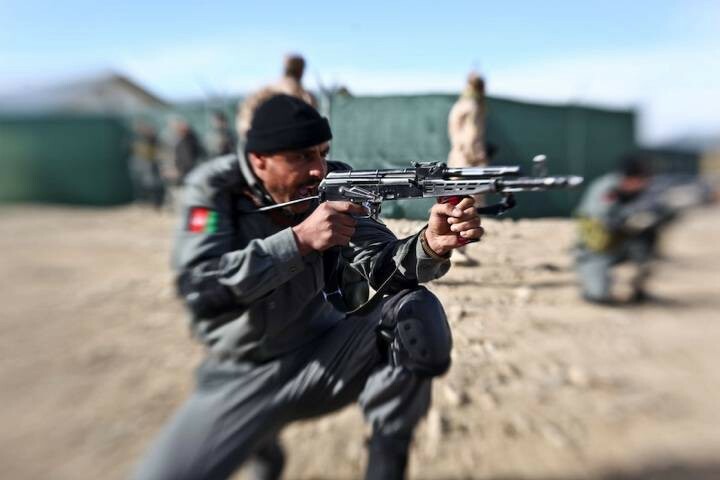 In February, the Afghan military disarmed and arrested 30 Afghan cops with alleged Taliban ties, including the police chief of Helmand province’s Sangin district. Helmand produces 80 percent of the world’s poppy supply and Taliban control of the region would give the insurgency an instant cash infusion. The situation is so dire that Helmand’s deputy governor Mohammad Jan Rasolyaar begged Afghan President Ashraf Ghani for help via Facebook in December last year. It shouldn’t be this way. Provincial governors shouldn’t have to beg the government for help over social media. But fixing this problem will take time, money and probably more American blood. That’s a hard sell for an American public weary of a confusing war half a world away. America is not to blame for the current situation in Afghanistan but it does bear part of the responsibility. However, Nance is hopeful. The people of Afghanistan want a better life for themselves and their families. They want the basic stuff of capitalism such as watches and trucks that the insurgents just won’t provide. “The Taliban will not be able to succeed without great violence,” Nance explained. “We have to support these governments, otherwise we just give up 15 years of operations,” he said. And to Nance and many veterans, that’s unacceptable. He listed the American casualties in Iraq, Afghanistan and 9/11. Then he described a 19-year-old veteran he met at Walter Reed. She lost three limbs to an improvised explosive device.